When Google unveiled its Google Glass headsets last April, some tech analysts and writers were skeptical that the technology could ever gain widespread appeal. But now that Google Glass is approaching its one-year anniversary, the vast potential for smart glasses seems far clearer than before. Already, various tech companies and developers have begun creating new products that build off the concept. “I think we might be quite surprised how quickly this technology catches on,” says Dr. Daniel Kraft, executive director of the Exponential Medicine program at Singularity University in Silicon Valley and founder of BioniqHealth, a startup focused on wearable devices for health uses. The medical industry has been quick to embrace smart glasses recently, and several startups have been developing glasses specifically for the medical community. “The glass platform is especially useful in areas like the operating room where you want to be hands-free,” he adds. Evena Medical’s Eyes-On Glasses, for example, will allow doctors and nurses to peer through skin to see a patient’s vascular system. They are expected to retail for about $10,000 when they are mass produced this spring. Augmedix, a San Francisco startup, is working on a product for doctors that uses Google Glass’s audiovisual stream and turns it directly into a patient’s medical record, greatly reducing the time doctors spend typing patient information and codes into computers. The smart glasses of the future, Kraft says, are likely to integrate even more features and enhancements—similar to how Apple’s iPhones have evolved over the past few years. The technology, including the battery life, video quality and storage space, will improve. Developers will put out more apps for them, so they can be used for a wide variety of purposes similar to smartphones. “Today’s Google Glass will look antique in a few years, similar to looking at a mobile phone from 13 years ago today,” Kraft says. For example, a traveler to Greece could use smart glasses someday to get an audio tour of the Acropolis, while reading about Greek history or Greek soliloquies on an app. 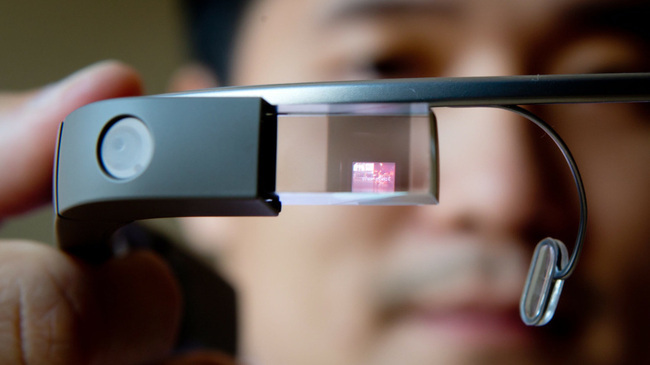 The glasses could also connect to social networks to share information with friends. Google wasn’t the first company to make smart glasses, as such technology was already being used on a small scale in specific industries, such as among airline pilots. But Google will be the first company to popularize them and, in turn, sell them at a low enough price point to make them accessible to mass consumers, Kraft says. Once the technology gains traction among consumers, they’re likely to take off as people understand the multitude of uses for them, he predicts. Analysts say that smart glasses are still in their infancy. The future will likely involve customizing them for particular consumer uses and industries, similar to how many developers are already rolling out technologies specific to health care. J.P. Gownder, a vice president and principal analyst with Forrester Research, has studied how wearable technologies such as Google Glass are likely to be adopted in the business world. At the most recent Consumer Electronics Show, Gownder released a report that looked at uses for wearables in enterprise. He says that Glass and other wearables are a “long-tail space” where developers will adapt them for specific uses. However, in a recent blog post, Gownder also points out that smart glasses also bring up an array of concerns that will need to be addressed—such as privacy concerns among bystanders and the wearers themselves. Looking even further into the future, the next iteration of Google Glass may be one that sits directly on top of the eye. This would reduce the need to wear a headset. Google recently announced that it is developing a “smart contact lens” that would allow diabetics to monitor their blood sugar by sensing glucose levels in their tears. The same group of Google developers that created Google Glass (the Google X team, as they’re known) developed the lenses. While Google hasn’t yet suggested that they’re replacing their Glass with lenses, tech analysts are already making the leap.